Experience this Famous Fairytale, color the princess, play puzzles and many more exciting games! 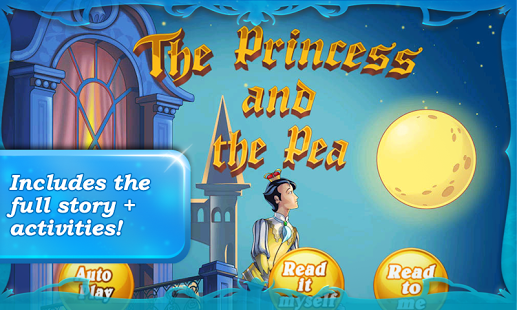 Take an exciting journey around the globe and help a Picky Prince find his Perfect Princess! Play fantastic activities as this famous fairytale comes alive in an amazing production! 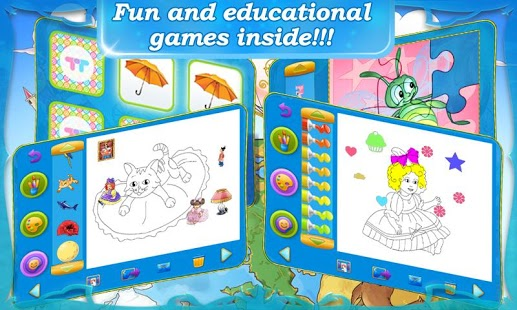 NEW exciting and educational games on each storybook page! Calling all princes & princesses – “The Princess and the Pea” is a classic fairytale and the perfect bedtime story for young kids. Take a journey around the world with the picky Prince as he seeks his perfect Princess. The Prince travels the globe in search of a true princess. But when he returns home he is sad because he has not found his Princess. Then suddenly there’s a knock on the door and a girl in a simple dress says that she’s a princess. The timeless tale of the Princess & the Pea goes that only a true princess would feel a tiny pea under a thick mattress. So that night the Queen puts the girl to the test. And once the princess feels the pea, she proves that she is the true princess and she marries the prince in a glorious wedding. Kids will adore this sweet story and parents will love to read along to this famous fairytale. It’s the perfect read for day or bedtime! 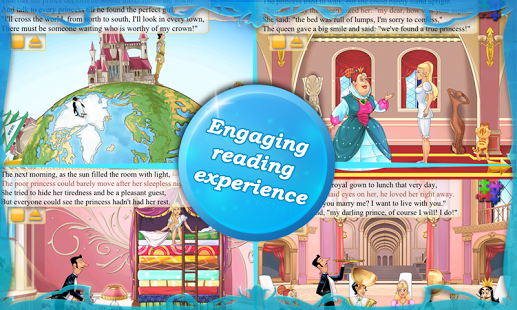 ★ Enjoy numerous engaging and fun animations on each page. Search “TabTale” on Google Play and discover more outstanding apps for young kids. interactive way. More fantastic stories and games by TabTale LTD are coming soon. . .